“The TASK program has been a HUGE benefit to our whole family. No more homework battles and more focused fitness, Taekwon-Do training, meditation, fun time, and quick and respectful pick-ups. All of these elements mean HAPPY PARENTS + HAPPY KIDS.” – Tracey D.
” Since enrolling our son in this program, we have seen a major improvement in not only his martial arts skills but also his positive energy around the house. 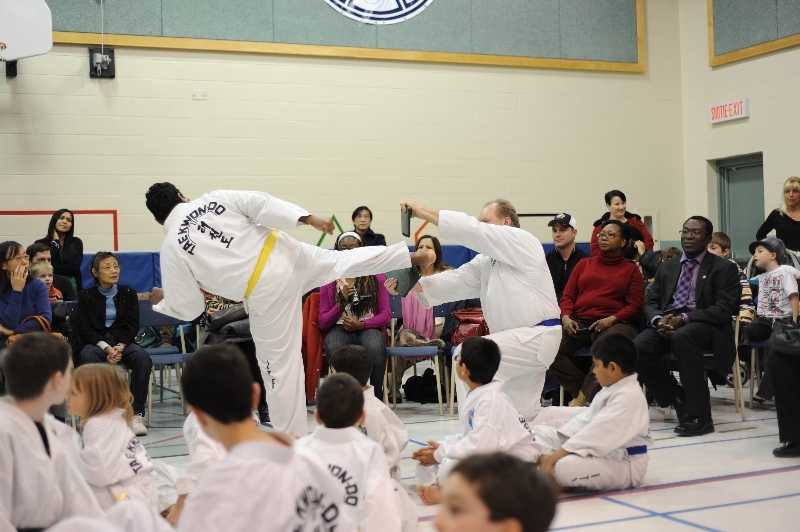 If you are in the Bridlewood area and looking to have your son or daughter grow to excel and be the best child they can be I seriously encourage you to check this place out.” – Joshua S.
“The Taekwon-Do After School for Kids (TASK) program has had benefits in the form of improved self-confidence and enhanced health and fitness. My husband and I both try to live a healthy lifestyle so the program has been a lifesaver for us to be able to give the kids the benefit of physical activity during the week when we are working and have to do homework. There is simply not enough time in the evening to do it all, and knowing they have already run, jumped, and kicked is simply wonderful, thank you!” – Jennifer K.
all this by the time you pick them up by 5:30pm? 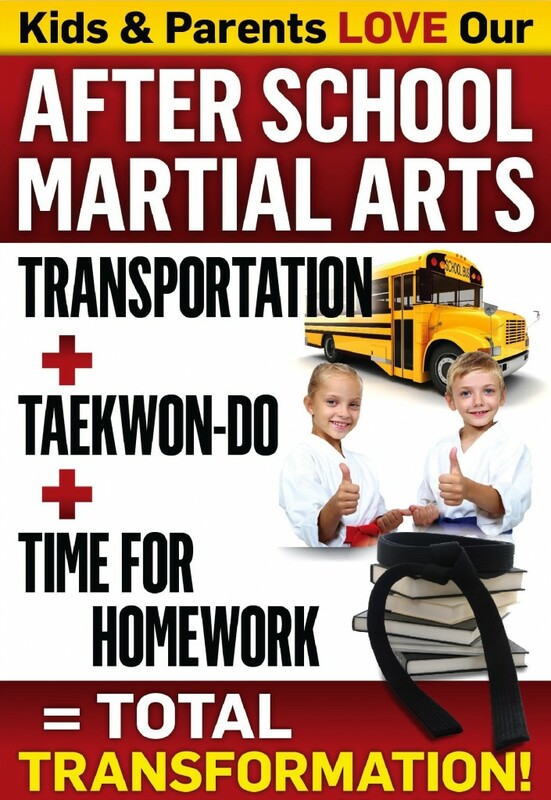 Then our Taekwon-Do After School for Kids (TASK) Program is for you. “Thank God and thank you for the Taekwon-Do After School for Kids program or I don’t know where I would find a program just like yours. You work hard and put so much effort into developing our children and always think from parents’ point of view, which makes things much easier for us. You continually motivate our children with your many character education ideas and initiatives to develop their life skills. Thank you so much for the great care of our son, words can’t express how happy we are to have him at your academy. We especially appreciate your helping our son with his homework, which removes so much pressure from our shoulders – A BIG THANK YOU!” – Cathy C.
Taekwon-Do has given our daughter the confidence to defend herself AND others around her. We learned about Keelin defending one of her friends at school when other girls were knocking off another’s hat. She stepped up to the three of them and asked them to stop, picked up her friends hat, handed it to her and the two of them walked off leaving the 3 bullies. Her confidence has also helped her improve her grades and we’re confident that it’s a combined effort from Home, School, and Taekwon-Do. Her past couple report cards have progressed from “C’s”, to “B’s, to “A’s”. The encouragement, confidence, guidance, leadership, friendship and counselling she receives has made a postive impact as she takes steps to become the person she’ll be for the rest of her life.” – Andrew F.
Top 10 Reasons To Choose After School @ Black Belt Excellence? 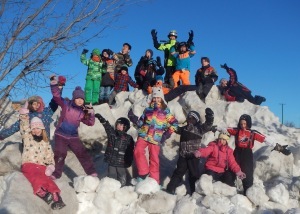 Yes, we offer PD Days for all school boards (included in the program) and the kids absolutely LOVE them! 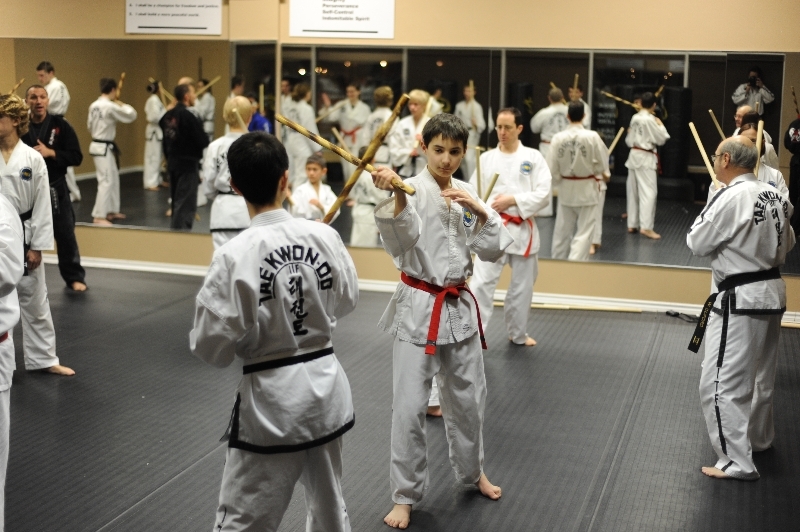 Yes, we have the best reputation for family martial arts training in Kanata for 30+ years! (we have been recognized as Kanata People’s Choice Family Business of the Year, Mayor’s City Builder Award, and Queen’s Diamond Jubilee Medal recipients for contributions to our community and country). 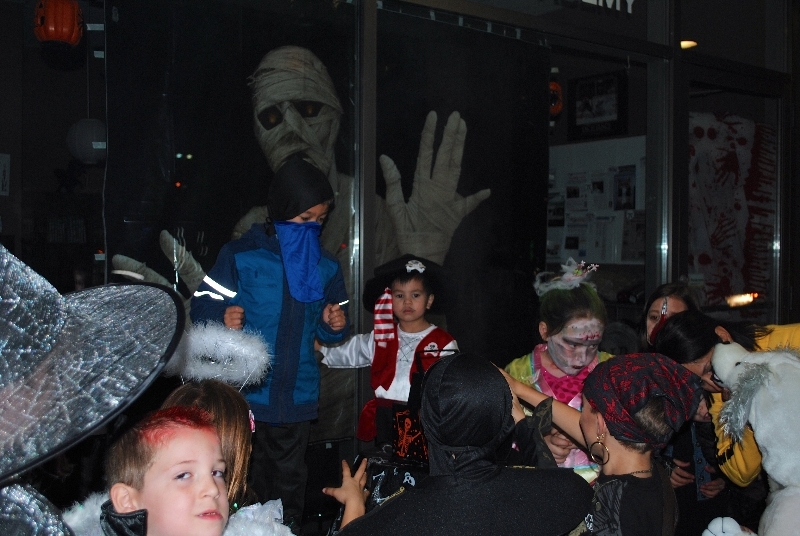 Yes, our tuitions are competitive and value-added (only $20 per day + family discounts). “At the start of the year my wife and I were asked to meet with our son’s teacher. The teacher had some concerns with regards to his level of reading in both English and French. Lack of comprehension was also noted when reading in French. The teacher was concerned that he was not meeting the provincial standards. This meeting took place in October, 2015. My wife and I had noticed him struggling and realized he needed some extra help. We worked with him at home and noticed some improvement but we also had the help of the wonderful Taekwon-Do After School program at Black Belt Excellence. Since enrolling our son in the program, we have noticed tremendous improvements in his scholastic endeavours. His reading in both languages have accelerated well beyond our expectations and his teacher’s. We were called in to see his teacher last month (March 2016). This meeting was to celebrate his accomplishments. The teacher referred to him as the Success Story of the Year. He is now meeting all provincial standards and improving on a daily basis. 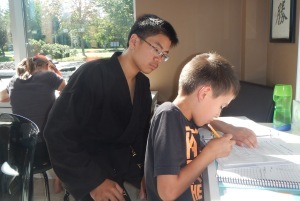 Black Belt Excellence continues to deliver in the dojang and in the classroom. We would recommend it to any family looking for that extra support in confidence, self-discipline, focus and respect for their child.” – Andrew H.
Our son has grown more mature in terms of Co-Operation. Noticeable things like turning off the TV, getting ready for class, and working on homework go smoothly with very or to no struggle. — Chau V. and Mona N.
Justin has benefited greatly from Taekwon-Do. He is learning to focus better, and his self-confidence is improving. Recently while shopping, Justin became separated from his mom. Justin knew to go get help right away from one of the assistants in the store and not from a stranger (through the lessons he has learned at Taekwon-Do). 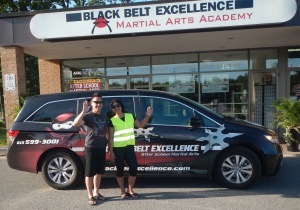 Thanks to all the staff at Black Belt Excellence! — Carolyn K.
Brent is a better listener now (e.g. listening to his teacher even when his friends aren’t). He’s learned to deal with aggressive behaviour better. He told us a boy in class calls him names sometimes and that he doesn’t react the way he used to. — Joanne and Dave B. We are very impressed with your whole program and are very lucky to have found it. Aidan very much enjoys it and that is what matters to us the most. I love seeing the smile on her face when she is in class. I want to personally thank you, your wife and your team for the great job that they do. I'm not sure if you get enough Thank You's and if you don't then that is a shame because it's a first class operation, run by a first class team and I want to thank you for that!! — Mike G.
Our son has shown an improvement in physical strength and in his self-esteem, which we feel helped him succeed in his swimming. 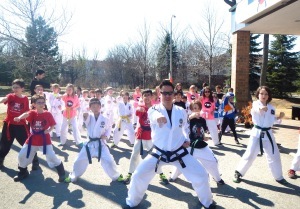 — Stephen and Cindy L.
As a parent, I am very happy with the instructors and Taekwon-Do classes, who are helping my daughter with her self-confidence. Your Bully Busters program is excellent and we can see lot of improvement in this area. Her grades have also improved since she joined the classes. Respect for elders has remarkably improved also. I am very happy and I love the program. One day, I would like to join this program as well. — Saba E.